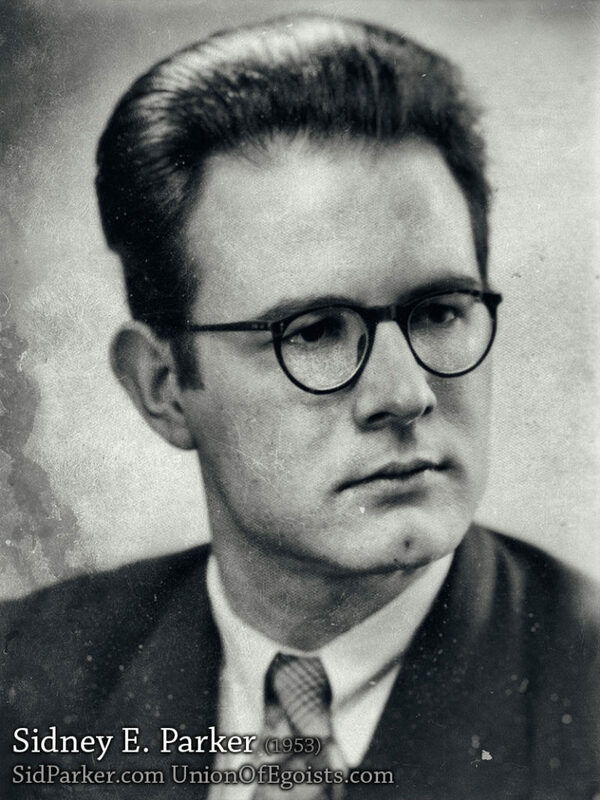 Sidney E. Parker was a philosopher and historian of Individualist Anarchism and Egoism, as inspired by the ideas of Max Stirner. His writing appeared in Freedom (UK), The Match (US) and other journals. 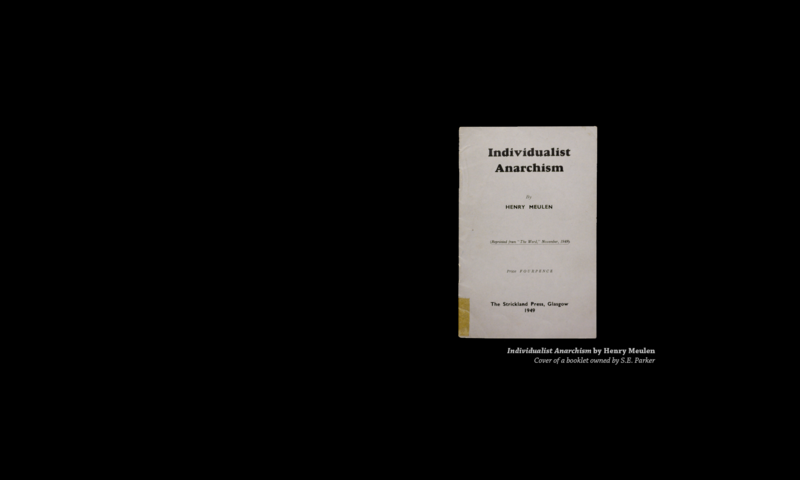 Parker edited a series of anarchist and egoist journals, most notably Minus One (1963) and Ego (1983). He spoke to humanist, anarchist and freethought groups all his life. Sid Parker died in 2012. He and his wife Pat had withdrawn from society in his last years and so there was no public memorial of his passing. This website, established in 2016, is that memorial. S. E. Parker was not only one of the greatest voices for philosophical individualism and egoism in the 20th Century, but he was one of the great archivists as well. His journals were dedicated to discovering and expounding his own ideas and their intellectual history while networking with individualists young and old across the globe. In 2018, Kevin I. Slaughter, editor-in-chief of the Union of Egoists, flew to London to take possession of Sidney E. Parker’s extant papers for research and archival purposes. Much of it will be published online. SidParker.com is the archive for writings of Sidney E. Parker authorized by his estate. To reprint anything from this site please see the contact page.